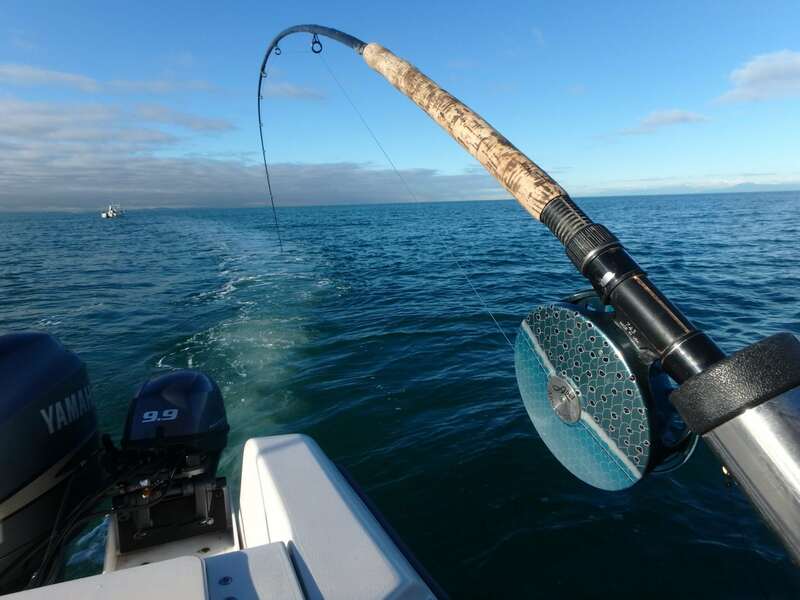 Home / Bait / Vancouver Saltwater Report: January 1 , 2016 Happy New Year! Finally the rain and wind backed off and our guides were able to get out and chase down some winter chinook! As mentioned in last weeks report, so far so good, as we are getting good reports pretty much from Campbell River down to Washington. 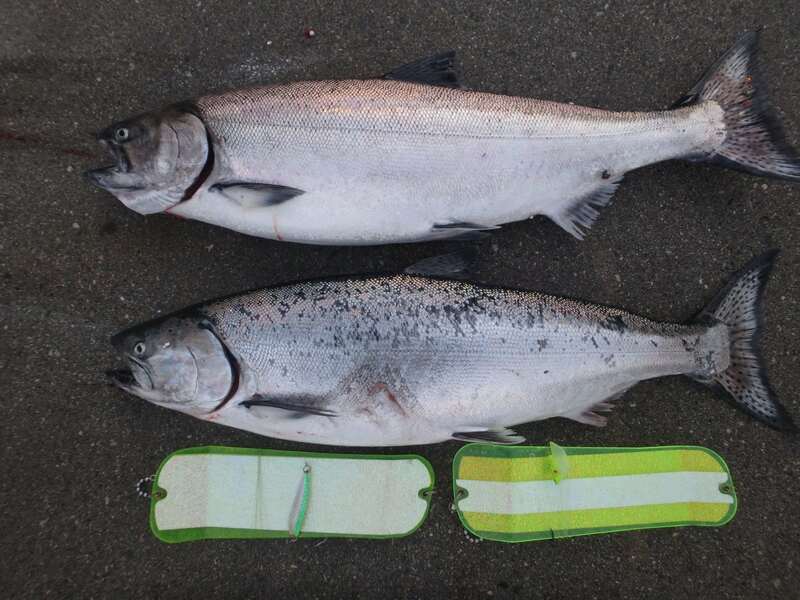 We landed these two nice fish by keeping our gear close the bottom and covering lots of water. One of the keys to doing that is trolling fast and we recommend 18 LB cannonballs to keep the gear down on a fast troll. 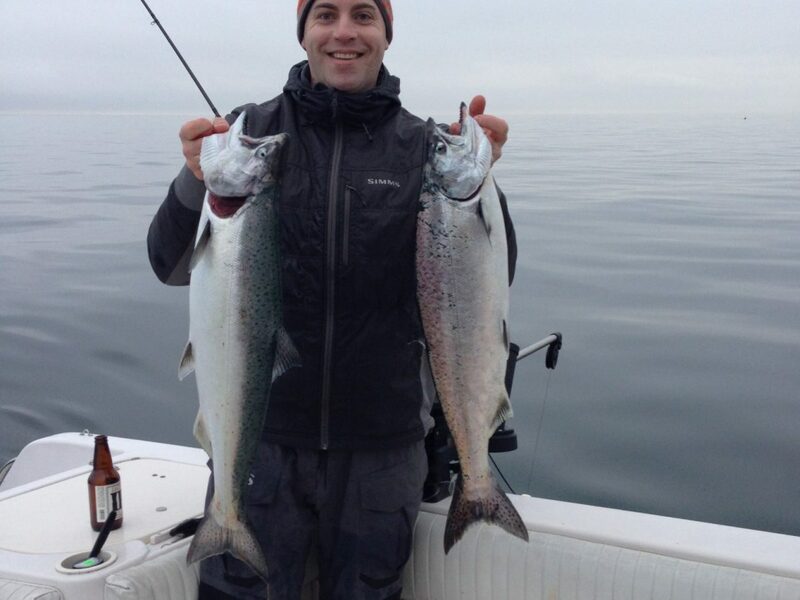 A couple of nice winter chinook from this week.